We know how much you love your stuff and it’s an important part of you. You want to take it wherever you go. But the problem arises when you have to shift to a new location. Shipping an automobile or household goods can be a costly affair and is very hectic. The price of moving household items is not a flat rate but depends on various factors. There are various factors which go into the list while determining the price of moving. Cost is the first thing that a person thinks about before shifting to a new location. In general relocation can be expensive. But if you want to get a fair idea you can use various online portals. These are mere estimates and not 100% real. So, whether you are moving across state for a job or because of your family, we’ve outlined few points that affect your shifting rates while moving with Best Movers in Gurgaon. The main factor which decides the price is distance. The greater the distance from point A to point B the higher the transportation cost will be. The cost to ship your items from Punjab to Chennai will be higher than shipping it from Punjab to Haryana. Due to an increase in fuel consumption the prices charged will also be higher. Further, while moving over a long distance a driver invests more time which means higher cost for the company and ultimately higher shipping rate. Also, car carriers and big trucks move only through selected roads which can handle its weight and width. This forces the drivers to stay off some roads adding to the overall time of shipping. After distance, one should focus on pickup and drop off location. The origin and destination location act as a big factor in considering the rates. If you are located in a metropolitan city there are chances that Leading Packers and Movers Gurgaon will get more cars from your area helping him to make more money thus he’ll reduce the charges. However, if you’re located at an isolated place or a village then it might cost you a bit higher. Similarly, if your house is nearby to a major highway will also cost you less as the delivery will be faster. What type of goods and vehicle you have? The size and weight of your car as well as your household goods has a direct impact on the rate. A bigger car such as an SUV or expensive and bulky goods will take up much space than a normal one, which means they have to leave another customer- thus it might add up to your cost. If your car or household stuff is heavier then also you’ve to pay little more as trucks have to adhere to certain weight limits. Also if you ship your luxury items with Best Movers in Gurgaon it will cost you more as insurance for valuable cars and goods is much higher than normal ones. Shifting household items in a personal truck will cost more than sharing trailer space. Moreover, if you avail warehouse services then also it might add up to the cost. Similarly, if you opt for an open car carrier it is less expensive as your car is shipped with other cars and the vehicle is exposed to air, weather and other things. However, people having luxury cars often opt for enclosed carriers which are bit higher. 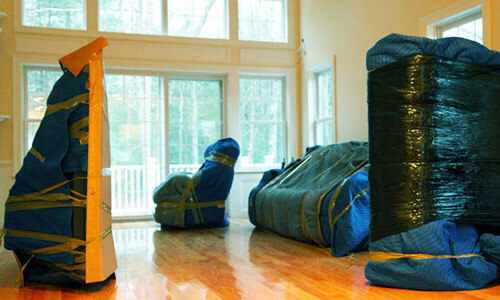 Leading Packers and Movers Gurgaon also has high and low seasons. Moving industry might be at its peak during holiday seasons and at low during summers and monsoon. So, you might get a higher price during high season and lower at offseason. But sometimes weather also plays an important factor. Difficult weather conditions also add up to the price. Now that you know what all factors add up to your relocation cost, it’s time to smartly plan out everything & save every penny and enjoy safe moving.